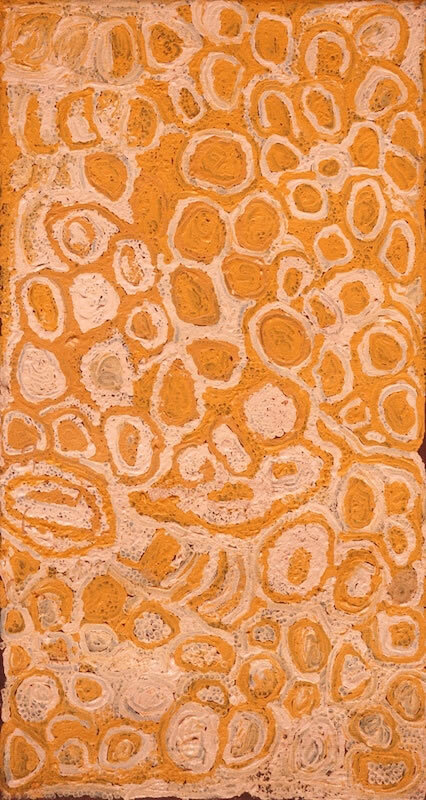 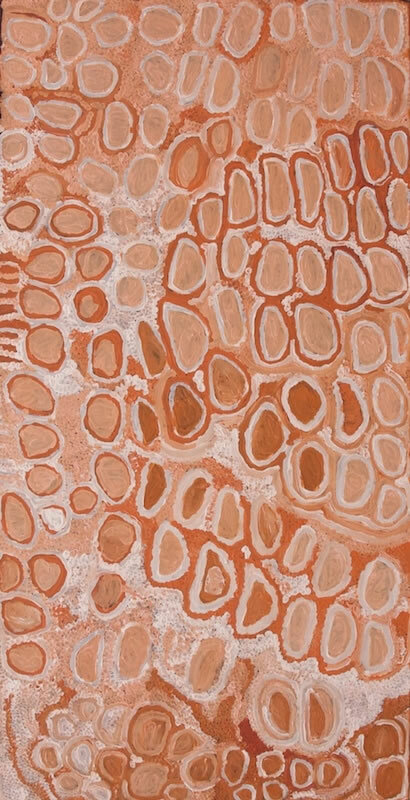 Makinti Napanangka began painting regularly for Papunya Tula Artists in 1996. 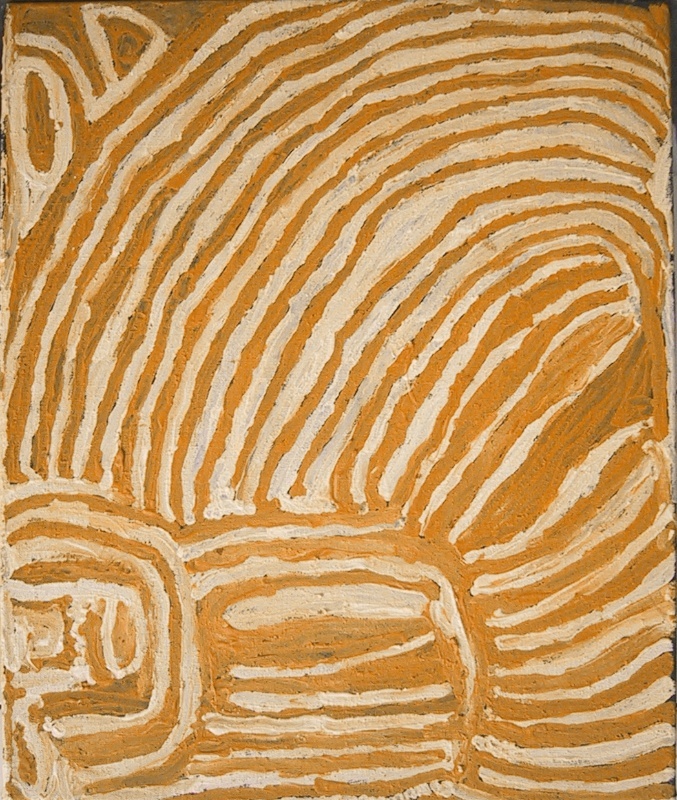 She held her first solo exhibition, to critical acclaim, at Utopia Art Sydney in 2000. 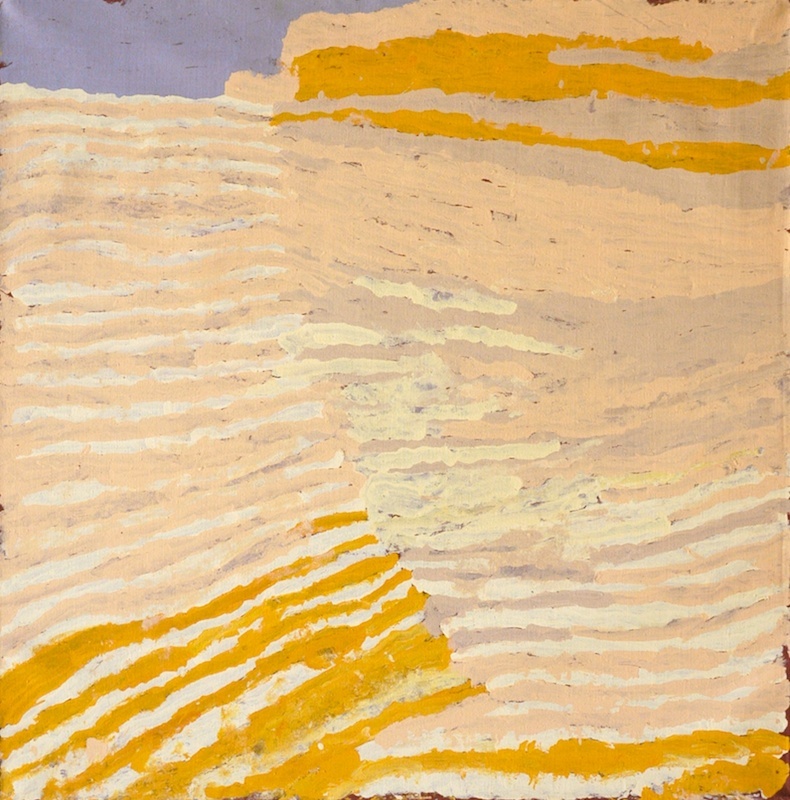 There have since been numerous solo exhibitions of her work. 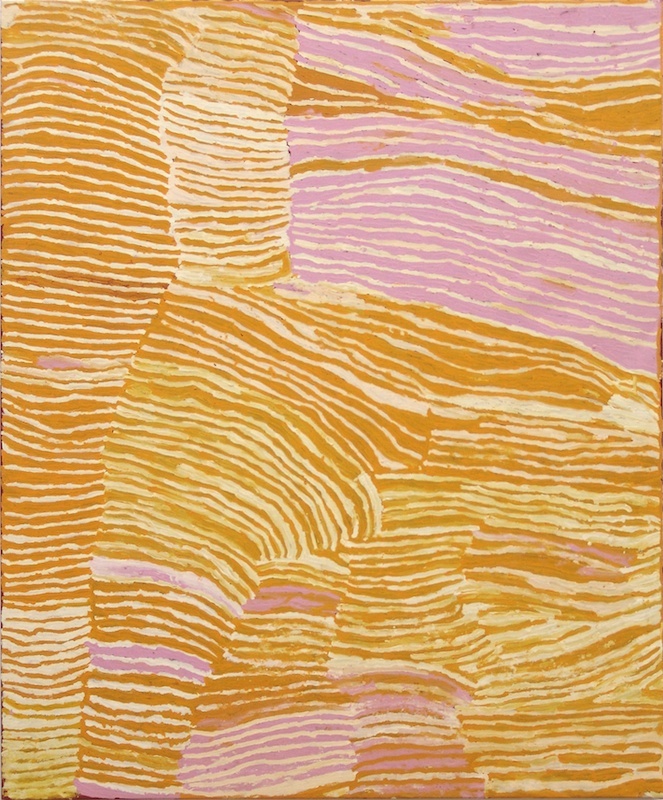 In 2008, Makinti was awarded the National Aboriginal & Torres Strait Islander Art Award and in 2012, her paintings were included in the 18th Biennale of Sydney All Our Relations. 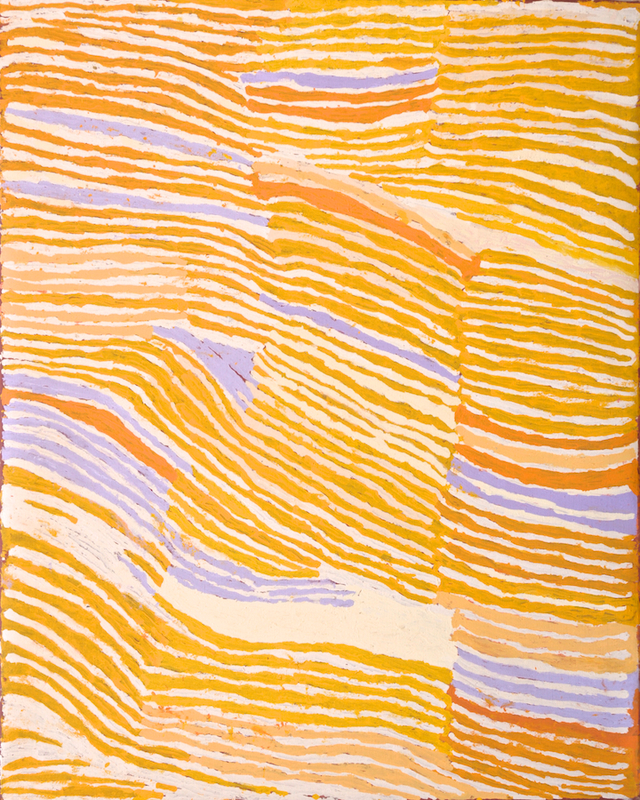 Her work is in significant national and international collections including the Art Gallery of New South Wales, the National Gallery of Australia and the Seattle Art Museum. 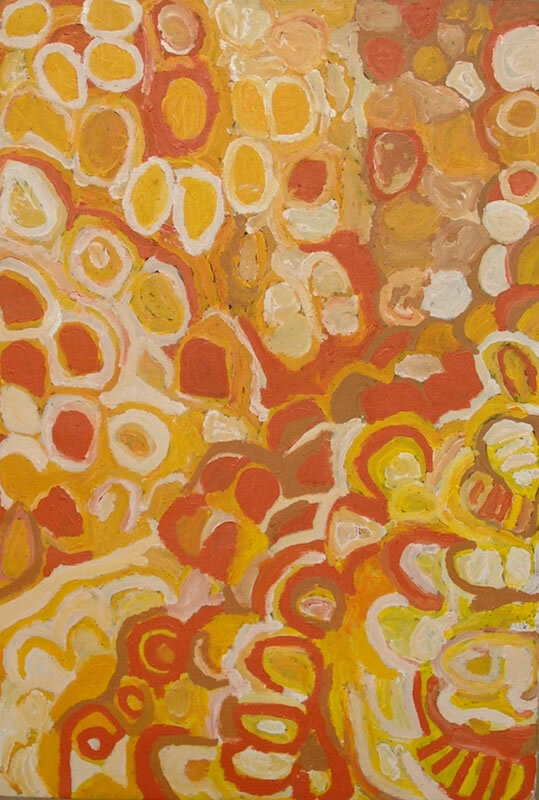 Makinti lived and worked at Kintore before she passed away in 2011. 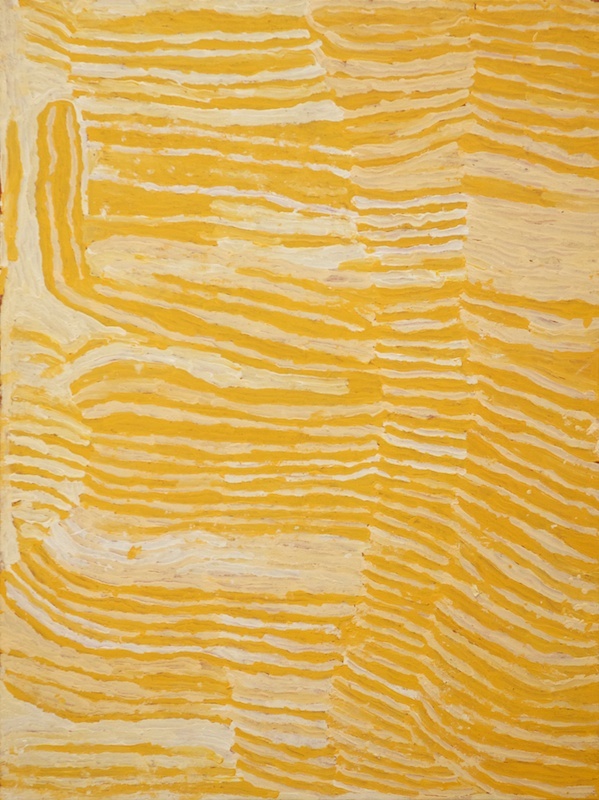 Makinti's paintings often feature ceremonial hairstring belts, "shown as sets of lines varying in hue and density, usually in bold yellows and oranges, alternating with white. 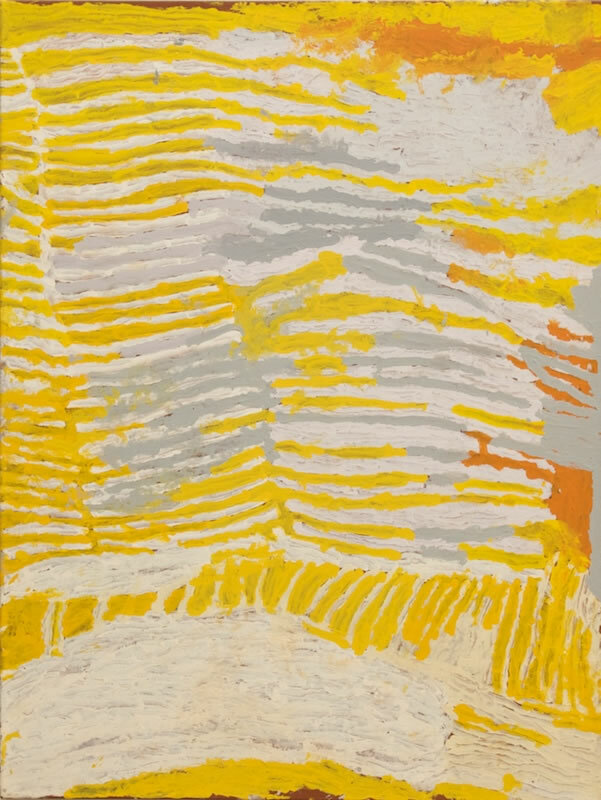 Her bands of lines form into sweeping arcs, creating patterns that twist and bend, blown by an invisible wind in many directions across the surface." 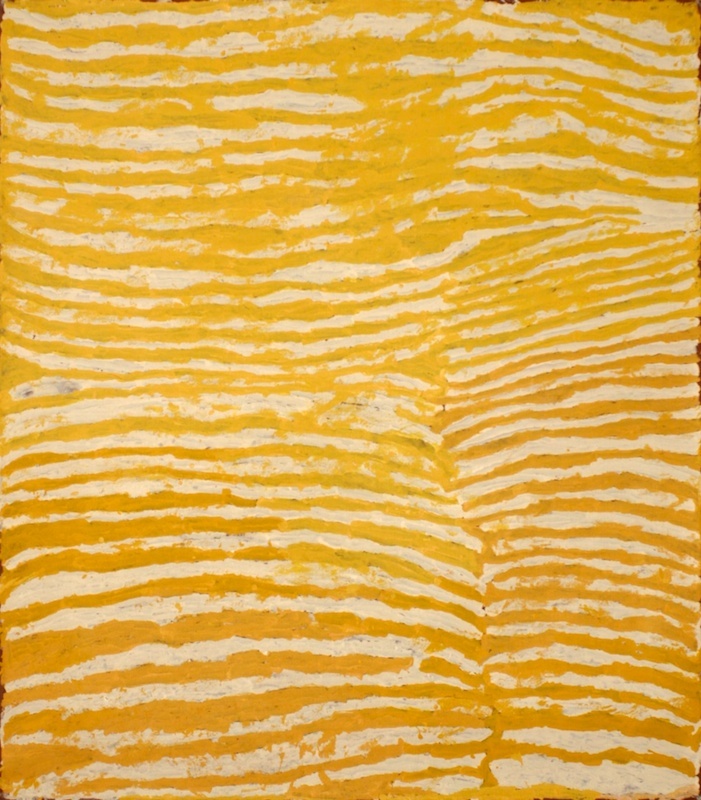 (Alec O'Halloran, 2000).